In the chronic turmoil of modern Zimbabwe, Abednego and Agnes Mlambo's teenage son, Bukhosi, has gone missing, and the Mlambos fear the worst. Their enigmatic lodger, Zamani, seems to be their last, best hope for finding him. Since Bukhosi's disappearance, Zamani has been preternaturally helpful: hanging missing posters in downtown Bulawayo, handing out fliers to passersby, and joining in family prayer vigils with the flamboyant Reverend Pastor from Agnes's Blessed Anointings church. It's almost like Zamani is part of the family... But almost isn't nearly enough for Zamani. He ingratiates himself with Agnes and feeds alcoholic Abednego's addiction, desperate to extract their life stories and steep himself in borrowed family history, as keenly aware as any colonialist or power-mad despot that the one who controls the narrative inherits the future. As Abednego wrestles with the ghosts of his past and Agnes seeks solace in a deep-rooted love, their histories converge and each must confront the past to find their place in a new Zimbabwe. 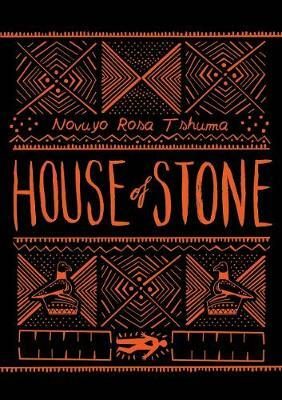 Pulsing with wit, seduction, and dark humor, House of Stone is a sweeping epic that spans the fall of Rhodesia through Zimbabwe's turbulent beginnings, exploring the persistence of the oppressed in a young nation seeking an identity, but built on forgetting. Novuyo Rosa Tshuma grew up in Zimbabwe and lives in Houston, Texas. Her work has appeared in numerous journals and anthologies, including The Displaced, edited by Viet Thanh Nguyen. Her short story collection, Shadows, won the 2014 Herman Charles Bosman Prize and was longlisted for the 2014 Etisalat Prize for Literature. She is a graduate of the Iowa Writers' Workshop and serves on the editorial advisory board and is a fiction editor at the Bare Life Review, a journal of refugee and immigrant literature based San Francisco.